Snap Inc. fell as much as 17 per cent Friday to a record low after its third-quarter results failed to inspire Wall Street. The decline in daily active users was viewed as disappointing and led JPMorgan to cut its rating on the stock to underweight. More bullish analysts found positive signs in revenue growth and improved monetization trends. Investors may be growing impatient as the shares have fallen more than 65 per cent since their initial public offering in March 2017. Revenue upside driven by strong average revenue per user, which accelerated in the U.S. 20% y/y in the 3Q. "Snap doesn’t want to risk another bad rollout experience, and therefore is prepared to absorb some N-T DAU declines" Anmuth says of Snap’s new Android application. "Instagram is much more penetrated" in the 13-34 age bracket in developing markets, and "it will be challenging for Snap to pull users away from Instagram". Larger Facebook and Instagram user and advertiser base makes it difficult for Snap to gain "meaningful" market share. Downgrades to underweight from neutral, with a US$6 price target down from previous US$12. Bear case points to a continuation of the Android rebuild overhang, North America DAU declines and weaker engagement trends. The bull case notes the ARPU reacceleration, new ad formats on the horizon and cost control in the quarter. "We’re staying on the sidelines here as we struggle to come out with a strong view in eitherdirection as we balance positive advertiser feedback (and their ROAS) with a shrinking user-base." Remains neutral, with a price target of US$7 down from the previous US$8. "Despite the incremental positive monetization trends, we still hold a cautious view on the stock due to the disappointing DAU trend & outlook". Maintains sell rating, with a price target of US$6 down from the previous US$7. Ju remains bullish on Snap based on potential user growth recovery with the Android app release in 2019 and advertising revenue growth acceleration by 2H of 2019 or earlier as "Snap laps the balance of the reserved/programmatic transition headwinds." 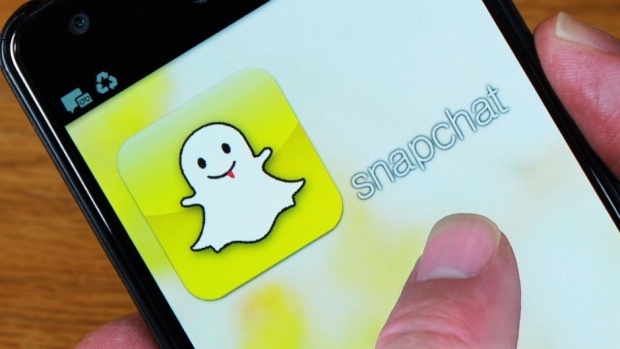 "Snap is a scarce asset that offers advertisers access to a coveted younger demographic." Reiterates outperform rating and US$12 price target. "While we expected DAUs to be down q/q in the quarter, we were also disappointed on guidance for DAUs to decline Q/Q in 4Q, typically stronger seasonally." "The strength in revenue and positive color around the ad tech improving confirms what we have been hearing amongst DR advertisers over the past 2 quarters." Regarding CEO Evan Spiegel’s leaked memo with 2019 profitability targets, "the company took every opportunity to emphasize this as aspirational internally focused commentary rather than a bar investors should the company to." Remains at a hold rating with a US$13 price target.